The "rotary desk" went out of style with the advent of filing cabinets, but in their heyday, they were marvels of rotating cabinetry, tiny clever drawers and cubbies, and roll-down secretary tops. 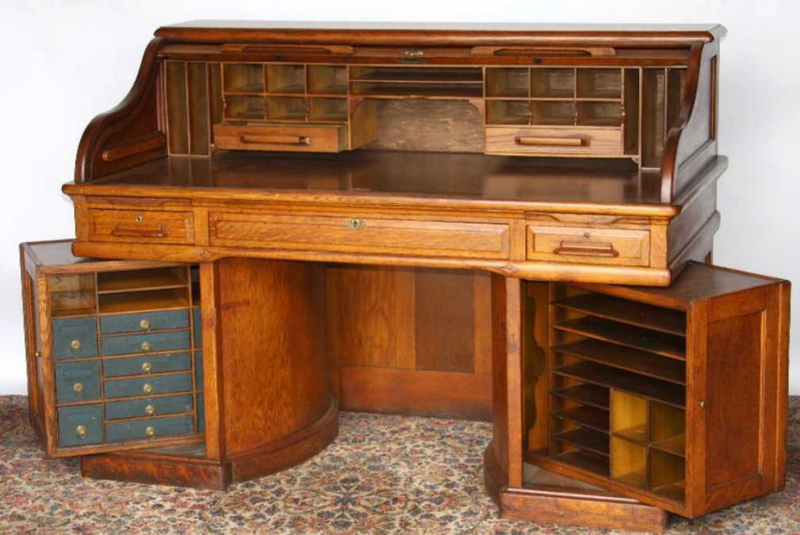 A few of Wooton's desks from the 1880s still survive today, and can be admired in auction catalogs and the like. Core77's Rain Noe rounds up a droolworthy collection of designs, including some pictures of a travelling salesman's scale model!